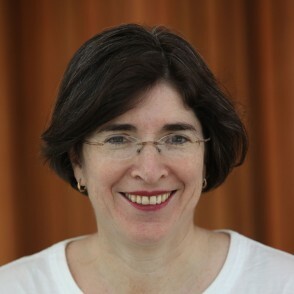 Susan Gross, MD, is the Chief Medical Officer for prenatal testing company Natera, and is a Professor of Clinical Obstetrics and Gynecology and Women’s Health and Clinical Pediatrics at Einstein. She also is the Founding Director for the Program for Jewish Genetic Health of Yeshiva/Einstein. Susan received her medical degree from University of Toronto in 1985. She then completed a residency in Obstetrics and Gynecology followed by a Maternal Fetal Medicine fellowship at the same institution. Following this training, she completed a second residency in Medical Genetics at the University of Tennessee, Memphis. In 1994, she became a faculty member at the Albert Einstein College of Medicine (Einstein), Bronx, NY and in 1998, became Director of the Division of Reproductive Genetics in its Department of Obstetrics and Gynecology and Women’s Health. From 2008 to 2013 she served as the chair of the department of obstetrics and gynecology of Jacobi Medical Center and founded its Human Genetics Laboratory. Susan is a Fellow of the American College of Obstetricians and Gynecologists, the American College of Medical Genetics and the Royal College of Surgeons (Canada).